Mike Colavecchio has represented clients for over twenty-five years in all areas of casualty defense, including medical and other professional malpractice, New York Labor Law, vehicular negligence, premises liability, products liability, municipal liability, defamation and copyright infringement. Mike also represents corporate clients in a variety of commercial matters, including employment practices and breach of contract cases. For the past eight years, Mike has been selected for inclusion in Super Lawyers, New York Metro edition, which recognizes the top 5% of lawyers in the New York City Metropolitan area. He has also received a Martindale-Hubbell Peer Review rating of AV Preeminent, the highest possible rating. A well-respected trial lawyer, Mike has tried in excess of one hundred cases throughout his career and continues to maintain a busy trial schedule. With a consistent history of achieving positive trial results for his clients, he has taken verdicts throughout the New York metropolitan area. He has taken verdicts in cases involving allegations of medical, dental, legal and other professional malpractice, motor vehicle and trucking liability, elevator negligence, construction accidents, premises liability, products liability, employment discrimination, land use claims, environmental liability and commercial disputes. Mike has also successfully represented clients at alternative dispute forums, including non-binding mediation and binding arbitration and has defended professional clients before disciplinary bodies. In addition to trial work, Mike has drafted and orally argued numerous appeals before the New York State and federal appellate courts, achieving a high rate of success. In the past year, he has written and argued three appeals before the First and Second Department Appellate Divisions, all of which were successful. Mike has been invited to lecture locally and nationally to professional and legal organizations. 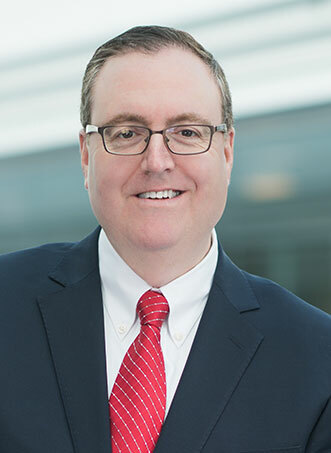 A frequent contributor to Continuing Legal Education programs for the New York State Bar Association, Suffolk County Bar Association and other entities, Mike has lectured on New York Labor Law (2016), Mediation (2015), Trial Techniques (2015, 2017 and 2018), Medical Malpractice Defense (2009 and 2012), Premises Liability (2015), Trial of Medical Malpractice Cases (2005 and 2012), Trial Basics (2013), Examinations of Hostile Witnesses (2013), Law School for Insurance Professionals (2008, 2011, 2012, 2013 and 2016), Trial Techniques in Damages Cases (2005), Products Liability (2004), Ethical Challenges in Settling a Civil Lawsuit (2010), “What’s My Case Worth?” (2013), The Importance of the Hiring Process (2013) and Insurance Underwriting (2003). Most recently, he lectured for the Suffolk County Bar Association on trial practice, and in 2017 he lectured in Nashville at the annual meeting of the Torts, Insurance and Compensation Law Section of the New York State Bar Association. He has also given in-house seminars to insurance and self-insured organizations on a variety of matters and has lectured to New York State judges on tort law at New York State Court System lectures. Mike was admitted to practice law in New York in 1991. He is also admitted in the United States District Courts for the Southern and Eastern Districts of New York and in the United States Court of Appeals for the Second Circuit. He is a member of the New York State Bar Association, the Nassau County Bar Association, the Suffolk County Bar Association and the Nassau-Suffolk Trial Lawyers Association. He is a former member of the Suffolk County Bar Association Judicial Screening Committee. Mike coaches youth basketball and has been active in a number of local charities. In 1990, Mike Colavecchio received his Juris Doctor Degree from Hofstra University School of Law, where he served as a Law Fellow and as Editor-In-Chief of the Hofstra Property Law Journal. In 1987, he received his Bachelor of Arts Degree in Political Science and History from State University of New York at Buffalo. He resides in Huntington, New York with his wife and kids.